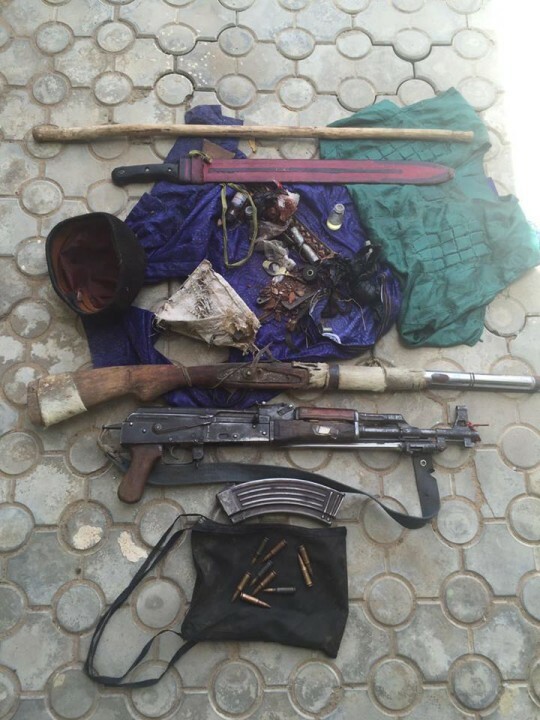 Following reports in weeks past of clashes between herdsmen and farmers, and experts stating the changing climate in the world and security situation in northern Nigeria is more to be blamed. One is expectant of any permanent solution that can prevent further lose of lives. While President Buhari initiated a security clamp down on rampaging herdsmen, scientists believe a more permanent solution can be lab grown meat. But who is willing to have their next suya grown in the laboratory? It is no longer a debate that temperature is increasing year-over-year around the world as every year after 2013 is now the hottest in history, Middle East and Africa continues to get hotter, researchers are further motivated and more desperate for solutions to solving new challenges that may arise due to the changing climate including clashes between herdsmen, villagers and farmers. The Federal government proposed ranching as solution to the clashes, but we do not know how this solution can stand in face of a rapidly changing climate. While President Buhari initiated a security clamp down on rampaging herdsmen, scientists believe a more permanent solution can be lab grown meat. But who is willing to have their next suya grown in the laboratory? Meanwhile, a 2011 study calculated that growing meat in labs would cut down on the land required to produce beaf, sausages and bacon by 99 per cent and reduce the associated need for water by 90 per cent. What’s more, it found that a pound of lab-created meat would produce much less polluting greenhouse-gas emissions than is produced by cows and pigs, even poultry. 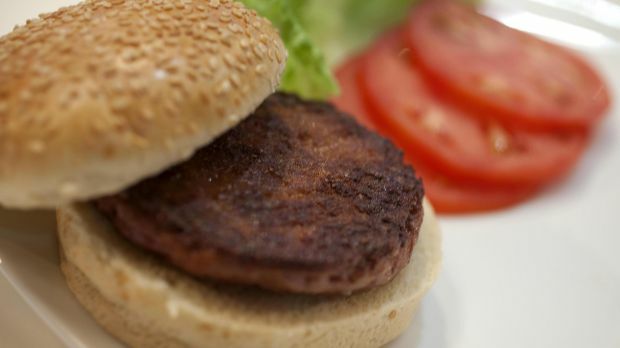 The first burger made from meat grown in a lab. Yet a 2015 life-cycle analysis of potential cultured meat production in the United States painted a less rosy picture if one includes the generation of electricity and heat required to grow the cells in a lab. Yet Mark Post, the Dutch scientist behind the 2013 cultured hamburger, believes the energy demands could be quite easily reduced. “One of the big energy expenditures is cleaning the tanks with heat, but simple soap might be very, very efficient,” he says. The health benefits of cultured meats are still not completely clear, either. In some aspects, researchers say, lab-grown meat might be better for us. Because cultured meats would be produced in sterile environments, they would be free of such dangerous bacteria. The Centres for Disease Control and Prevention estimates that pathogens in conventional meat are the most common sources of fatal food-related infections. A 2011 study calculated that growing meat in labs would cut down on the land required to produce beaf, sausages and bacon by 99 per cent and reduce the associated need for water by 90 per cent. What’s more, it found that a pound of lab-created meat would produce much less polluting greenhouse-gas emissions than is produced by cows and pigs, even poultry. And the use of antibiotics in food-producing animals – to fight disease and help the animals grow faster – has been identified as a source of antibiotic-resistant bacteria that is dangerous to humans. The Food and Drug Administration estimates that the sales of antibiotics for such usage has been going up – by about 23 per cent between 2009 and 2014. Both Memphis Meats and the Dutch team, which is trying to make the production of cultured beef more efficient, said they do not use antibiotics in their products because the sterile lab process does not require them. They also don’t use growth-promoting hormones, which commercial feedlots give to most cattle. According to a European Commission report, their adverse effects in humans may include “developmental, neurobiological, genotoxic and carcinogenic effects.” One of these hormones, estradiol, has been banned in farm animals in Europe since 2003 but is still in use in the United States. As for lab-grown meat and cancer, the story gets complicated. Last October, the International Agency for Research on Cancer, which is part of the World Health Organisation, published a report that classified red meats as “probably carcinogenic to humans” and processed meats as “carcinogenic to humans”. And the head of the IARC suggested that people “further support public health recommendations to limit intake of meat”. Yet scientists aren’t sure which elements of conventional meat are responsible for its potential carcinogenic effects. “It wasn’t possible to disentangle the contribution of multiple components,” says Veronique Bouvard, one of the researchers responsible for the preparation of the WHO report. There are a few substances that scientists suspect, though. Among them is heme iron, which is common in meat and is found almost exclusively in meat. This form of iron can cause DNA damage and induce formation of N-nitroso compounds, some of which are potent carcinogens. A study that followed nearly 200,000 post-menopausal women found that the amount of heme iron in their diet was positively associated with an increased risk of breast cancer. Other studies show connections between heme iron intake and colon cancer. So here is the good news for lab-grown meat: According to its producers, lab-cultured beef or pork can be made completely free of heme iron. “I think that removing heme iron from meat would make for a colon-safer product,” says Graham Colditz, a cancer researcher at Washington University in St Louis who has no association with the groups producing lab meat. And that’s the catch: If we remove too much fat, the meat will lose juiciness and texture. If we remove heme iron, it won’t be red but yellow – the colour of the beef that Post is growing in his lab. If we add too much of the omega-3 fatty acids, the meat may get a fishy flavour. Another thing that might be removed from cultured meat, or significantly reduced, is saturated fat, which raises the level of bad cholesterol, increasing risk of stroke or heart disease. Healthier omega-3 fatty acids could take its place. “Stem cells are, in principle, capable of making omega-3 fatty acids. 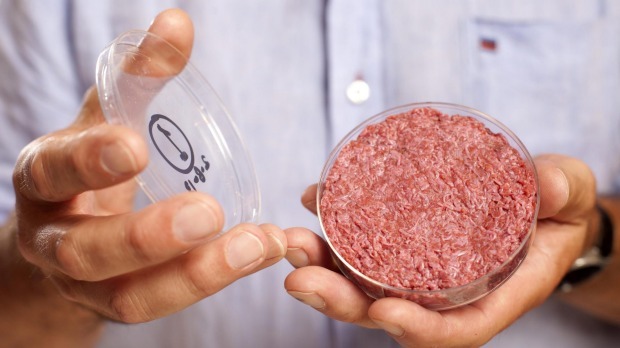 If we can tap into that machinery of the cell, then we could make healthier hamburgers,” says Sydney Morning Herald, who is working on the fat content of lab-grown beef. Unfortunately, potentially carcinogenic compounds found would be harder to get rid of. Among them are nitrites and nitrates, preservatives that are commonly used in processed meats such as ham and bacon. According to Washington Post, because cultured meats are sterile, they would require much less nitrate to stay safe to eat. On the other hand, nitrites and nitrates are also used to prevent oxidation in products such as hot dogs, so that they don’t lose their appealing colour. Lab-grown sausages and hams, Post says, would be “very similar to regular meat” because the compounds would still be needed to preserve the meat’s appearance. Among other things that would stay in cultured meats are heterocyclic aromatic amines (HAA) and polycyclic aromatic hydrocarbons (PAHs). According to the WHO report, these chemicals can cause DNA damage. “To be honest, I wouldn’t know how to affect HAA and PAHs in cultured meat,” admits Post, who says he isn’t even sure he would “want to change that.” The reason? These substances are products of the Maillard reaction – the marriage between carbohydrates and amino acids in a slightly moist, hot environment (think grilling or roasting) that help give meat its enticing flavour. Another thing that might be removed from cultured meat, or significantly reduced, is saturated fat, which raises the level of bad cholesterol, increasing risk of stroke or heart disease. Healthier omega-3 fatty acids could take its place. “Maillard reactions are very important,” says Paul Breslin, a nutritional sciences professor at Rutgers University in New Jersey. “They are the flavour of cooking and give baked cookies, fresh-baked bread and grilled ribs their characteristic flavours, which we obviously love.” And that’s the catch: If we remove too much fat, the meat will lose juiciness and texture. If we remove heme iron, it won’t be red but yellow – the colour of the beef that Post is growing in his lab. If we add too much of the omega-3 fatty acids, the meat may get a fishy flavour. Lab-grown meat may be better for the environment and improve on several health aspects of conventional meat. But for now, at least, it can’t be exactly like regular meat and have no potential health downsides whatsoever. At that point we’ll be able to decide if it also tastes good.